Simon graduated from Macquarie University and is a full professional member of sports medicine Australia. Simon is dual registered both here in Australia and Hong Kong China where he also practices for short periods over the year. 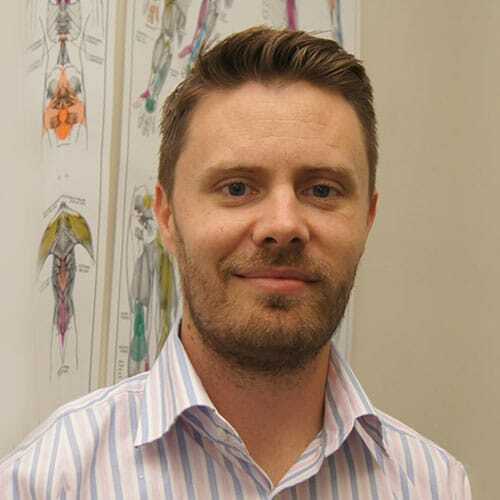 Simon started his career in Sydney working in a multidisciplinary clinic which had a focus on Neurology where he took a keen interest in the treatment of Headaches and Migraines. Simon moved to Brisbane in 2006 and opened OurChiro Brisbane where he is now joined by his two sisters Jessica and Rebecca. Simon Also works closely with other medical professionals such as GP’s and specialists when required for a multifaceted approach and best outcome treatment option for patients. Apart from Headaches and Migraines, Simon also specialises in treating a multitude of sporting injuries and rehabilitation. He treats many team players from various sports such as rugby union, rugby league, basketball, cricket, AFL and rowing. He has also had much overseas experience treating at events such as the Hong Kong 7’s and at local matches here in Australia. Simon is able to utilise a multitude of techniques and experience that suits the treatment requirements of the individual patient.